Optima provided highways and transportation input in support of a residential development comprising of circa 335 residential units and ancillary retail for the Burford Group. The site comprises a former sandstone quarry and landfill works, with surrounding ancient woodland. 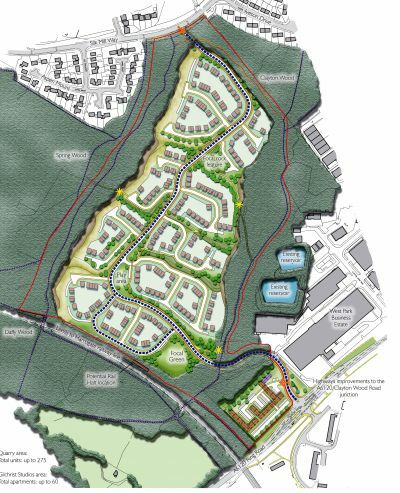 The Site benefited from an outline consent for a large mixed use scheme, however the scheme proved unviable due in part to substantial highway improvement works. Optima designed a cost effective access solution and successfully reduced the financial obligations associated with offsite highway works. Outline planning consent was granted in 2015.